"Thomas is highly professional, reliable and efficient. I highly recommend his services." "Seth was very quick in reviewing the documents in my case and proactive in providing counsel via phone. 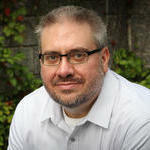 I would be happy to use his servi..."
Alan Vail is a business legal counselor who has more than 11 years of experience. 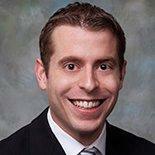 He has been licensed to serve corporate clients in both Maryland and Massachusetts. Alan received a J.D. in law after he graduated from the Washington College of Law, American University. He specializes in drafting, negotiating and reviewing commercial contracts. Alan founded Vail Law in September 2015, where he now serves as a sole practitioner. "Alan has worked closely with our sales team to negotiate and close deals, helped us to simplify and streamline our terms of service and p..."
Brendan Rich practices in Buffalo, New York and received his J.D. from the University of Buffalo. He concentrates on business and financial transactions, such as mergers and acquisitions, as well as planning and drafting business documents. Additionally, he deals with international business matters, working in particular with clients who are looking to expand their business from the US to Canada and vice-versa. Jeff is a partner at ARC Law Group and his primary practice areas include estate planning, real estate litigation, small business formation, and entertainment law. Before becoming a lawyer, Jeff has worked as a music promoter, social workers, children's counselor, and business owner. His experience helps him understand the real challenges people can face. Alex Rechenmacher is on a mission to help as many clients as he can while always being transparent throughout the process. 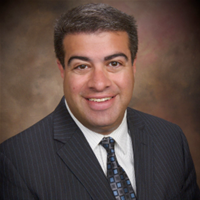 He specializes in debt and bankruptcy, commercial real estate, business formation, and trademarks and copyright laws. With over 6 years of experience, Attorney Rechenmacher is ready to help you and use the knowledge he has gained from his prior experiences. Robert Levin has over 32 years of experience in business and technology law. Working for some of the most well-known companies in New Jersey, Robert has helped with small and complex issues that arise within the business sector. Whether you have a startup and need help choosing a structure or you need help disputing a contract, Robert is your go-to lawyer and is always available to help. "Robert was very informative and thorough while working with me. He spent the time to really understand what my needs were so he could fac..."
After graduating from Pennsylvania State University, Keely studied at Villanova University School of Law, to receive her Juris Doctor degree in 1999. Of her over 17 years of experience as an Attorney, she spent more than 8 at Marcus & Hoffman, P.C. as a Senior Associate Attorney. Currently, she is a partner of Brady & Cissne Law, a boutique law firm which focuses on a large array of areas, including homeowner and condominium association law, commercial and residential real estate transactions. "“We are a new community with a homeowners association. Keely helped manage the transfer of control of the HOA from the developer to the h..."
Can a Nonprofit Have Two Presidents? What Is a Mutual Benefit Corporation California? Why use UpCounsel to hire a Winston Salem Non-Profit Attorney? On UpCounsel, you can find and connect with top-rated Winston Salem non-profit attorneys & lawyers that provide a range of non-profit law services for startup non-profits to more seasoned non-profits around the city of Winston Salem. Any of the top-rated Winston Salem non-profit lawyers you connect with will be available to help with a variety of your non-profit legal needs on-demand or on an ongoing basis. From the forming of a non-profit organization to obtaining tax-exempt status from the IRS, to complying with federal and state laws governing fundraising and operations, the advice of experienced Winston Salem non-profit attorney is crucial throughout each stage of your non-profit’s growth. Whether you are forming a 501(c)(3) or 501(c)(4), you can easily hire an experienced Winston Salem non-profit lawyer on UpCounsel for your on-demand or ongoing non-profit legal needs today. Improve Your Legal ROI with Affordable Non-Profit Attorneys that service Winston Salem, NC. Want to Connect with Top Winston Salem Non-Profit Attorneys & Lawyers?